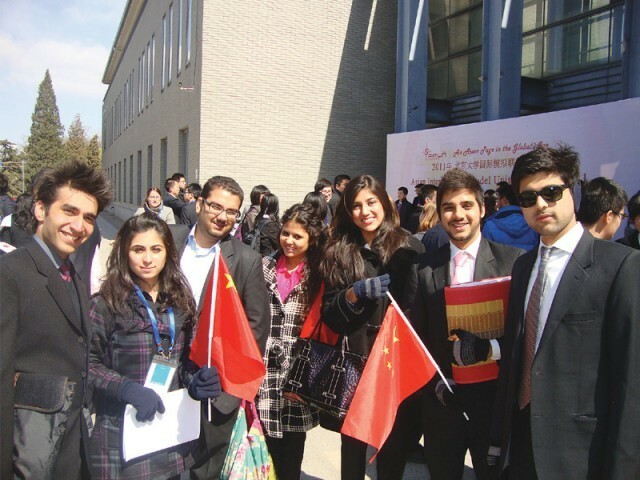 KARACHI: A group of students of the Shaheed Zulfikar Ali Bhutto Institute of Science and Technology (Szabist) has returned victorious from China, where they bagged several awards. The eight-member team participated in the Asian International Model United Nations Conference (Aimun) 2011 and returned with awards for Best Institution, Best Delegation in Futuristic Security Council, Outstanding Delegation in General Assembly and Security Council and the Best Position Paper Award in the Futuristic Security Council. Outstanding! Despite all the problems of governance, economy, education, health… we continue to produce brilliant young minds masha’Allah. It’s quite remarkable.